This dollhouse was originally given to my sister around 1979, and my grandparents decorated it for her as a Christmas gift. I recently came across an old photo album with pictures of my sister opening the gift, and I saw the pride on my grandparents’ faces. They were crafty – using fabric scraps as wall-to-wall carpeting, coffee stirrers as window hardware, and contact paper as tiling for the bathroom floor. This dollhouse was eventually handed down to me as my sister outgrew it and I can remember playing with it for hours as a child. There used to be a lot more furniture but unfortunately got lost over the years. When my mom brought this over to my house to give to me, my almost-three year old son, Cole, was so excited to play with it. Hearing him talking to himself and rocking the baby in the rocking chair made me weepy, and made my heart swell with nostalia. He’s a typical boy, and is a bit rough with the furniture so I’m going to take my time “renovating” the house. I’m torn because I want the house to be beautiful (obviously) but I also want it to withstand the play of my rowdy son, niece and nephew. There is so much beautiful furniture available to buy, but is pretty costly. My husband jokes that we’ll need a second mortgage to support my new obsession! My first step is to strip all the carpeting and tile. Then I want to give the interior a fresh coat of paint. I’m thinking I’m going to paint the rooms the same colors as our current house to mimic our house. I have wood siding and shingles that I’m also going to paint the same color as our house. I have wood flooring for the main spaces, too! I have most of the supplies – now I just need to work on it! My goal is to have it completed for Christmas next year although I hope to have it done before then! This way I can buy a tiny Christmas tree for the living room, and tiny wreathes to hang on the windows. How cute would that be?! 5-piece Colander Set. When I first brought this home from the store, Ryan thought I was ridiculous because “how many strainers does one person need?!”. I soon showed him how convenient they were, especially when making dishes like chili – straining beans, pasta/rice, straining the fat from the meat… all at the same time. They’re durable and stack together beautifully in the cabinet. I immediately tossed our three old strainers that were breaking and bulky in our already full cabinets. Glass Nesting Bowls. I bought these when we bought our first condo in 2007 and we’ve had them since. I use them for everything: from preparing meals to putting chips in them for parties. I like that they are glass, rather than metal, because they can easily be used when entertaining. Another space saver in our full cabinets! Landscape Lighting. As silly as it sounds, a childhood dream of mine was to have a house one day with landscape lighting. I was a nerd destined to be a designer, I suppose. I always thought it was expensive and difficult to install, but I saw this blog post, showed it Ryan, and we both were excited to try it ourselves. To be fair, Ryan did most of the work himself but he said it was easy to install. I’d say the most difficult part of the project was knowing how many lights we’d actually need/want. We were weirdos standing outside at night shining flashlights at our bushes to see how a light would look… If our neighbors saw us, I’m sure they thought we were nuts! We did this project this past summer and I love driving into the driveway at night because it makes our house feel so elegant and inviting – for only about $300! 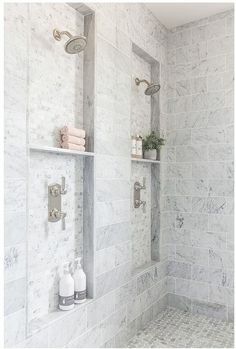 Shower Curtain Rings. These rings have a hook on each side so the liner and shower curtain are separate so when you have to take the liner or curtain off to wash it, you only need to take one off at a time. Genius! King Size Bed. We bought this bed when I found out I was pregnant and it was a total game changer. At that point, we needed a new bed and mattress anyway. I knew I was about to become a huge, cranky pregnant woman, and Ryan and I are both tall. I love having a king size bed to sprawl out… especially since both cats choose to sleep on me. We bought it in a chenille-like fabric which has withstood two scratch happy cats. This is one of my all-time favorite buys. Baking Dish. I have this baking dish in two sizes and love it! It’s another item that can go from oven-to-table because of it’s simple design and neutral color. I also love that it doesn’t stain like other baking dishes I’ve owned. Meyer Lemon Candle. This is my new go-to candle. I love the crisp citrus scent – it’s so delicious I want to drink it! I have one on my nightstand in my bedroom and it’s so fragrant and fresh even when it’s not lit. Large modern weave baskets. I have two of these simple baskets tucked into corners of our living room for additional toy storage, and for blankets to snuggle up with. Bench. The stock photo for this bench doesn’t do it justice. We have this in our living room which was originally used for blanket storage, but has now turned into a “lego bench” where Cole stores all of his legos. I’m happy to have pretty storage for toys since they seem to have taken over my house. The fabric is a durable and beautiful velvet, and looks way more elegant in person than it does online! Outdoor candles. I am obsessed with these candles. They really do flicker like real candles! They’re a bit of a splurge for an outdoor item, but the quality is so great that I convinced myself they were worth it for hanging out outside. I also got a few for our screen porch, since the cats and Cole are often in there during the warmer months. Now I have the cozy feel of lit candles without the worry of burned tails or baby hands. Sponges. A random thing to write about, right? An even more random thing to love… but it’s true! I love these sponges. The size and texture is different from any store bought which makes clean up way easier. Plus, it’s made of natural fibers and is anti-microbial. We never have that nasty sponge smell! Insert dancing-lady-emoji here! Stainless teapot. When our last tea pot fell apart (literally), I knew it was time to upgrade to something heavier and more substantial, even though that means more money. I like to keep a tea pot out on the stove all the time, so I wanted something functional (obviously) but that was also pretty and classic since you’ll always be seeing it. This one fit the bill! They used to sell it at Williams Sonoma, but I bought mine on Amazon because I’m addicted to Prime. Side note: Because I keep mine out on the back burner all the time, it gets dirty from cooking. I did some research and bought this cleaner and it keeps it looking new and shiny. Takeout menu organizer. We are lucky and have a lot of different takeout options where we live. We used to have menus stuffed into a binder until I came across this organizer. My brother-in-law always makes fun of me, but I know he secretly loves how easy it is to find the menu for our favorite pizza place when he’s at our house. Modern litter box. Creepy cat in the photo aside, this litter box is beautiful. A sentence I never thought I’d type. We have the box open in our newly finished basement, so it’s pretty visable. I wanted something small and discreet and this one is perfect! When we were showing family the basement once it was done, someone complimented the box but didn’t even realize it was a litter box! I love that the opening is on the top, too, so they track less litter through the house. How is that for the most random list of “favorite” items?! :) Thanks for reading. Am I the only one who feels like they are still catching up after the holidays? We finally put our Christmas tree away this week and it felt so good! Don’t get me wrong, I love Christmas and seeing all the beautiful ornaments we’ve collected over the years but it was time to have my house back. Cook some, buy the rest. Pre-baby, I used to go crazy trying cook everything, proving to myself and my guests just how domestic I was. Ha! Post-baby I realize how crazy I was! If you’re hosting dinner, make the meal and buy the appetizers and/or desserts. No one wants to go to a dinner party where the host is stressed, so do yourself a favor and let other people help! Plus you don’t want to be in the kitchen all night feeling like a caterer. Accept help so you can actually enjoy your guests! If you’re hosting a big group, like I do, do a potluck. I make a ham and some roasted veggies while our families bring sides and appetizers. Have sternos on hand to keep meals hot. Someone will always be late. No matter how organized you are with planning your meal times, someone will be late and all your food may get cold. I only have one oven, so I keep these on hand to keep the meal hot as guests arrive. Always have a bottle of champagne in the fridge. You never know if someone will share news to celebrate! I love drinking champagne even on days where there’s nothing to celebrate but life itself, so I usually have a bottle chilling in the fridge. Take stock of dish soap, paper towels, and toilet paper. A few years ago when we were hosting a party, we had only one roll of paper towels and one clean dish towel. Party foul. The next year I made sure all the dish towels were clean so clean-up was easier. Also, make sure all bathrooms are stocked with toilet paper so your guests don’t get embarrassed asking for it mid-party. Set the mood. I’m a bit of a pyro, so every party I have there are tons of candles. On Christmas Eve, we try and get our neighbors involved to do luminaries, so our house had 48 candles outside alone. We may have had three times that inside on the tables! For table settings, I like to keep it simple: lots of candles, plates all in the same or similar colors, and small flower arrangements. I feel like the candles and the flowers elevate the mood and make guests feel special. At least that’s my intention! Have the dishwasher empty. You’ll likely go through a lot of dishes cooking and eating, so have the dishwasher ready to do it’s job! This way you don’t have to wake up to a kitchen counter filled with dirty dishes. OK to have dishes in the sink. Nothing is more annoying than when you go to someone’s house that appears spotless and they say “oh, don’t mind the mess” just to be polite. Do you agree?! I like to keep a few dishes in the sink: 1) because I’m lazy and hate doing dishes and 2) it makes guests feel like your home isn’t too precious and they can kick back and relax. OK to entertain barefoot. On the same note as above, I read a tip years ago to entertain barefoot so you’re guests feel more relaxed and at home. I am typically barefoot at home anyway, so the same thing goes when I have people over. Have ice made. If guests want a cocktail or a glass of water, they’ll need ice to keep it cold. (duh.) One of my first parties I hosted, I forgot to make ice and I felt awful that my friends were drinking warm cocktails. Lesson learned! Don’t go crazy buying desserts. If you’re cooking dinner, you’ll likely be too full to binge on sweets. Make/buy one or two and call it a day. Do not mop your floors beforehand. I repeat: do not mop your floors beforehand. Ryan’s just as OCD as me, if not worse, and we would always mop before a party. As clean as you think your friends and family are, a big party tracks in a lot of dirt and stickiness from spilled drinks even if the party is mainly outside. I’ll vacuum before a party and do a very quick cleaning, but always mop the day after. Have the garbage and recycling empty. Similar to the note about the dishwasher, have the trash ready and empty to throw things away so you don’t have to bring it out during a party. Happy New Year! In the past, I haven’t paid too much attention to a new year starting, but this year something feels different. I feel hopeful, positive and excited. The past three years have been challenging, to say to least – my father being diagnosed with Alzheimer’s (something I’ve kept private), becoming a mother, buying a house, renovating our house, and my father passing away less than two years after my sister passed away – all while my business was growing at rapid speed. I’ve had extreme highs and extreme lows during this time and it took me 2 years to understand, acknowledge and appreciate the lessons I’ve learned during this time. I’ve had an internal fight about sharing too much of my personal life on this blog… which is probably why you notice a huge gap between the most recent posts. Why am I hesitating to share that I’ve lost a family member? Will my clients think I’m weak? Will they think I’m incapable to handle their large projects? If I blog too much, will clients think I’m not spending enough time working on their projects? Taking time off between the holidays helped me clear my head and reminded me it’s quite the opposite – my grief shifted my entire life and made me stronger. It made me think differently and has strengthened my business because I’m more focused than I ever was. On top of that, I am entering the new year with a newly renovated home office, new organized file system, and an accountant to help me with my taxes and book keeping. These were all huge goals for 2016 and I feel so good to have accomplished this. Be mindful. Taking time off this past week made me realize how calm I am when I’m not on my phone and am living in the moment. I’m learning to meditate which has been really helpful, but also challenging for someone like me, who is constantly planning or thinking about what will happen next. I’ve been bringing my mind back to what’s happening in the moment: the way my cat feels snuggling me or the way their loud purr sounds, the way Cole’s small, soft hand reaches for mine to walk down the stairs, or listening to Ryan make Cole laugh. Little things add up to big things that change our lives, and I want to be mindful to experience them. Have more family adventures. We recently went to the Liberty Science Center and were there for 5 hours. Time flew by because we were having so much fun not having anywhere else to be. This past year, we spent a lot of our weekends doing home renovation projects. Looking back, we realize how much time it took from us focusing on family and exploring. Cole is almost three, so he’s becoming a typical little boy looking for adventure. I want to spend more time providing experiences, rather than holing up at home on a house project that really doesn’t matter in the long run. Be more organized with meal planning. This is a typical new years resolution, but it goes hand in hand with us wanting to eat healthier. Our diets are pretty horrible right now, and Cole is THE pickiest toddler. I want to have a consistent schedule to go food shopping so I can prepare healthier meals to nourish my family. Date nights. This one is pretty self explanitory. :) We need to focus more on our marriage because life has shifted so much since we’ve had Cole. We need to spend more time together and talk about things other than potty training or stresses of our jobs. Care for my body. In addition to eating cleaner, I need to listen to my body and care for it. Seeing my dad’s health decline so quickly scared me and reminded me that I have control over my own health. I’m not saying that his Alzheimer’s was a result of his decisions, but I need to do what I can to take care of myself and pay attention to what I eat, what products I use, and what medicines I take. Practice yoga. I’d love to be considered a yogi but right now I’m just an unsteady woman pretending I’m good, in hopes that I’m fooling everyone in the classes I take. :) I love my local studio and the community it provides and I intend to continue going more frequently for my body and mind. Blog more. I’ve struggled a lot with what to post/share because I enjoy writing about personal things happening in my life. I know this business is my “brand”, but aren’t I my brand, too? I have a lot of ideas saved in my “drafts” folder but haven’t posted because I’ve been so busy with life and work. I also hesitate to write during a work day because I often feel guilty for writing instead of doing my “normal” work. For example, today I had 564 emails when I woke up and now I still have 36. And I feel guilty because should I be answering those emails instead of blogging… Even though blogging is part of my work and my business, too. I want to rid my like of guilt, too. Add that to the list! :) I read this book recently and loved it and found it so relatable. So many creatives deal with similar struggles because our days aren’t normal, and each day is different, but yet somehow I still sometimes feel guilty for not always being behind a computer. Less clients, but bigger projects. I love my clients, and am beyond grateful for them. I’ve found that having less clients and bigger projects allows me to get to know my clients better and helps me focus my attention to their specific needs. Having less clients, and more time to spend with each client individually also helps them get to know me and increases their trust in my design skills faster which moves the project along faster. I’ve learned that having a lot of clients with small projects requires more energy and I find myself spread to thin. Go on artist dates. I read this book last year, and although I didn’t love it, I took away her “artist dates” concept. She suggests going on “dates” once a week by yourself to reflect and gain inspiration. I’d like to step away from the computer more – go to a museum, check out design showrooms leisurely, or go to a networking event – to go out and feel inspired. Working for myself, by myself gets lonely and I need to nourish my creativity. Sometimes you just need to step away from paperwork. Go to market. I’ve never gone High Point Market (the biggest furniture market), and I hear mixed reviews from designer friends, but I’d like to experience it. This also ties in with the goal above – stepping away from the computer and reaching out to new vendors to get inspiration. In the past two years I learned a lot about my marriage, my role as a mother, and really, truly getting to know myself. I see my life through new eyes and with a lighter heart and I wanted these photos to capture my family: My husband who has taught me what true unconditional love and patience is, and my sweet little boy who can make my eyes tear from simply reaching to hold my hand, grabbing my face for a slobbery kiss, or saying “waterlemon” instead of “watermelon”. Life can be strange, challenging, difficult, and beautiful, emotional and amazing. Through it all, I’m so ridiculously grateful to have these two by my side. This was one of the most fun projects I’ve worked on for several reasons: it was in sunny California(! ), it was my first project on the west coast (while having my own company), it was my first project with a repeat client, and it was with my amazing client that became a great friend. All a win-win in my eyes! This project hasn’t even been fully completed but has gotten so much interest that my clients are considering offers since it’s their vacation home. I’m hoping that I get to go back in August to finish with accessories and books to take final detail shots. I am loving these pictures from the realtor for the time being. Look at that bluuuuuuuue! Custom dresser in ivory satin lacquer and bronze hardware.